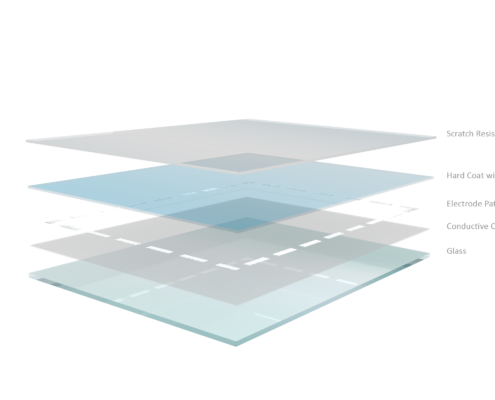 Touch International’s surface capacitive touch screen technology offers durability and environmental robustness. Proven to meet the harsh demands found in high traffic, vandal prone access sectors, Touch International’s large format, curved and flat touch screens are ideal for graphic driven applications, such as gaming, amusement, vending machines, ATMs and banking. 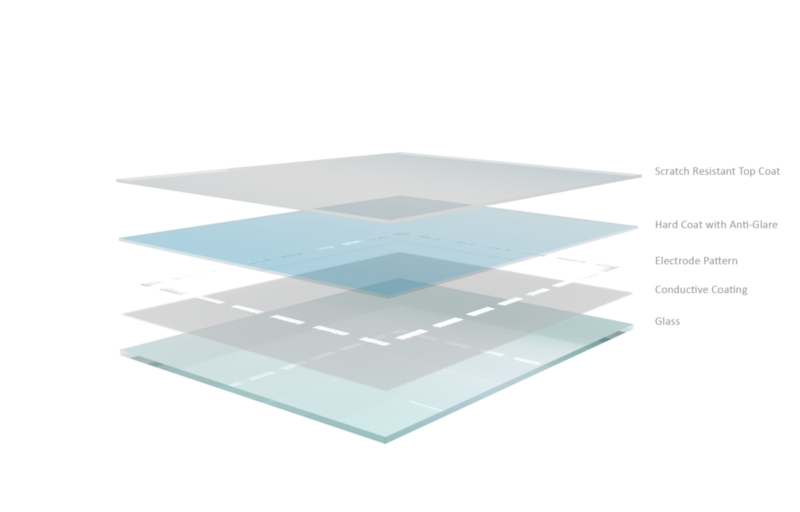 The surface capacitive touch screen has a conductive coating on the front surface with wires connected to each corner. A small voltage is applied to each of these 4 corners. The operation relies on the capacitance of the human body. When you touch the screen, a small current flows to the point, causing a voltage drop which is sensed at corners. Available in both standard and custom touch screen sizes, Touch International’s surface capacitive touch screens are form, fit or function replacements for 3M™ and Elo™ touch sensors. 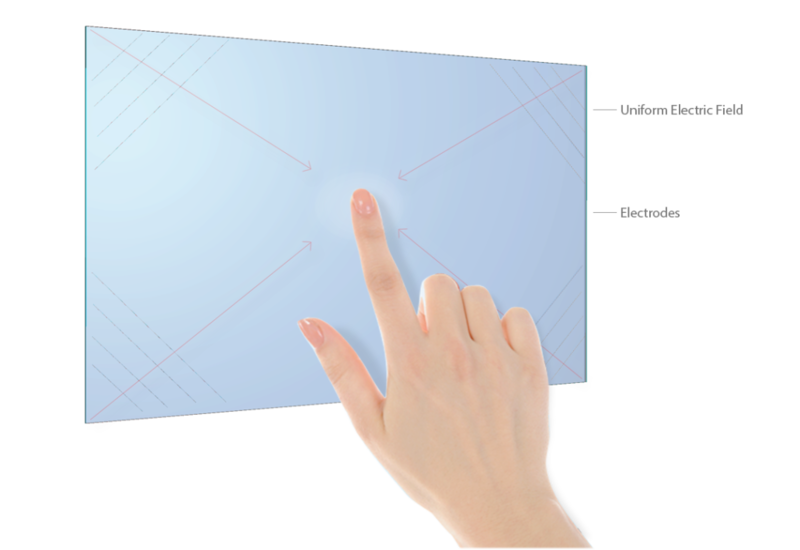 Surface capacitive touch screens can easily be employed on larger size (over 12 inches) applications. They have excellent optical clarity and high light transmission (88-92%) because the structure is only one glass layer. Surface capacitive touch screens have the fastest touch response time out of all the available technologies and can withstand regular cleaning with harsh chemicals.